A few weeks ago nothing used to please me more than going for brunch. I loved the whole process of it. From getting out of the house bright and early, to ordering my favourite coffee, to pondering over scrambled eggs on sourdough toast or a bowl of shakshuka while eagerly anticipating the well framed photo and caption that I would later post on Instagram. Then I went backpacking in Central America and after a few weeks of eating substantial and affordable meals, I came back and stared at a brunch menu and the entire thing seemed ludicrous. Will it be eggs, avocado or halloumi today? Nothing used to excite me more than anything on sourdough toast however now all I could think was £8? For eggs on toast when I could do it at home for a quarter of the price. Suddenly the entire brunch menu at my favourite cafe seemed overpriced and in all honesty a little dull. If I didn’t fancy avocado, eggs or halloumi then there was very little I could have and I started to feel like, well if I’m committing myself to spending a rather large amount of money eating out then I kind of wish I’d just waited for lunch. Not only did I not really fancy the food but I’d have to wait for the privilege too. I never really know if I should eat breakfast before. I mean if I wake up at eight and don’t eat then I’ll get very ‘hangry’ but if I do eat then I probably won’t be hungry when I get there. 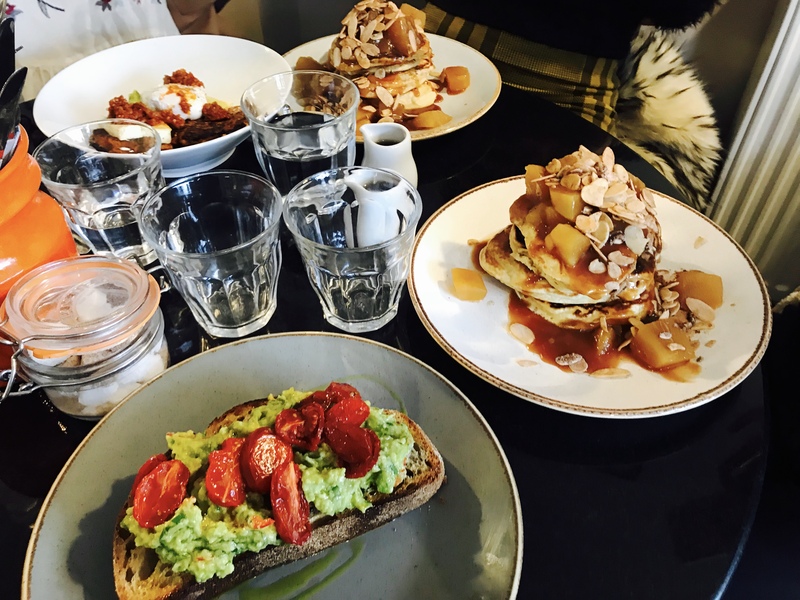 Also going for brunch has become as much of a calendar event on a Saturday morning as post work drinks on a Friday and eleven in the morning on the weekend in any brunch place means guaranteed queues, stressed staff and consequently, burnt toast. But there’s still the photo right? That colourful picture of my avocado on sourdough toast is sure to Brighten up my Instagram feed. But then I thought, do I really care? How many pictures of brunches do I have on my phone and how many photos of brunch have I seen on my news feed today, let alone in the past week. In fact every time I log on to Social Media it’s like every account I follow have all become clones because if there’s not a photo of avocado toast or a well framed smoothie bowl then something seriously bad must have happened. In all honesty the whole thing has become quite boring. So is this the end of brunch? I’m sure there’s something wrong with me and my lack of enthusiasm for overpriced things on toast will soon go away but at the moment I may step back from my brunch habits and probably save a bit of cash in the process. In the meantime I might stick to making things at home, meeting for coffee or maybe just going for dinner. What ever happened to good old dinner?